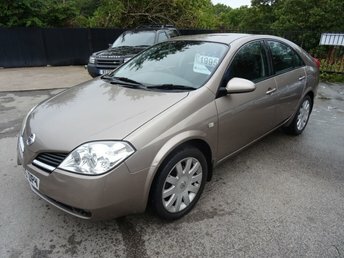 If you're looking for a great deal on a reliable family car, consider one of the used Nissan Primera models for sale in Leeds. Come to Eagle Car Centre Ltd today and you'll find a wide selection of quality used vehicles, from compact city cars and sporty two-seater roadsters through to spacious MPVs and rugged off-roaders. We're a leading supplier of affordable pre-owned vehicles in Leeds and have a reputation for delivering excellent customer service. Our team will go the extra mile to help you find a vehicle to suit your lifestyle and budget so be sure to get in touch today to get the search for your next car underway.